Here’s how important the Hilux is to Toyota in the UAE: it accounts for half of all light commercial vehicles sold in the country. 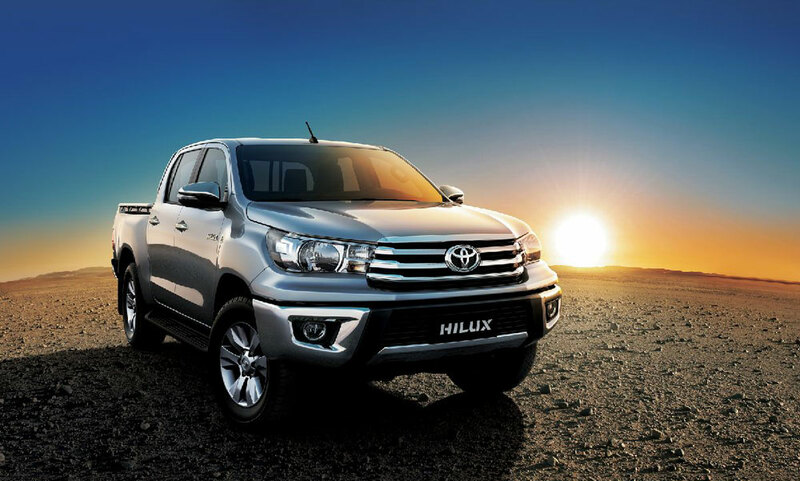 Minibuses, vans, small pickups, buses – they all have to jostle for space with the Hilux. 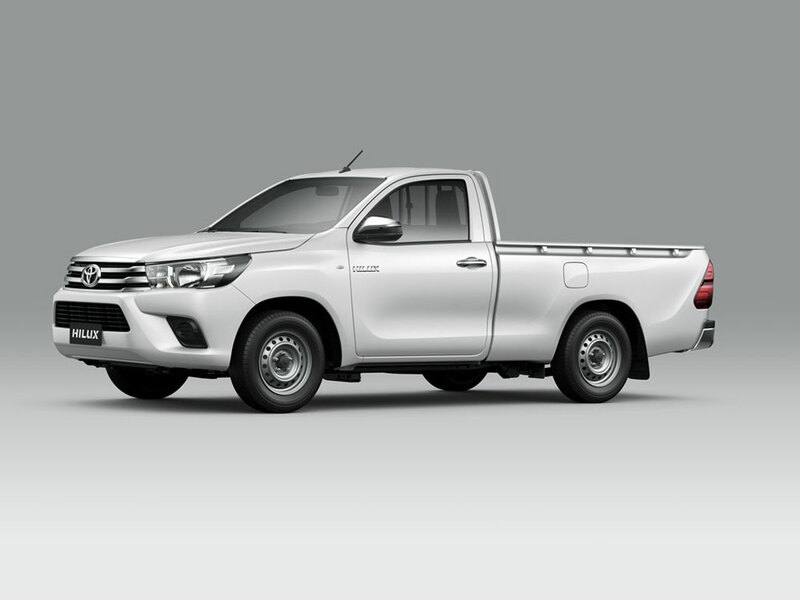 Globally, it’s the world’s best selling light pickup, counting 650,000 sold last year in more than 180 countries. It’s built in six nations, though Thailand accounts for more than 70% of its production. In effect, this humble little truck is one of the most important cars Toyota makes, a distillation of the company’s relentless focus on reliability, durability and capability. Put more simply, they really, really have to get it right. What’s changed for the eighth-generation version, the first new one in a decade? It’s got a thicker, stronger frame, which makes extensive use of high-tensile steel, while the interior uses a number of tricks to carve out more space for occupants. With a larger 80-litre tank, commercial operators will get more range of the four four-cylinder engines offered: a 137bhp/134lb ft 2.0-litre, a 164bhp/180lb ft 2.7-litre that also sees duty in the Coaster and Hiace. All are linked with five-speed manuals, though the top 2.7 gets an optional six-speed auto. 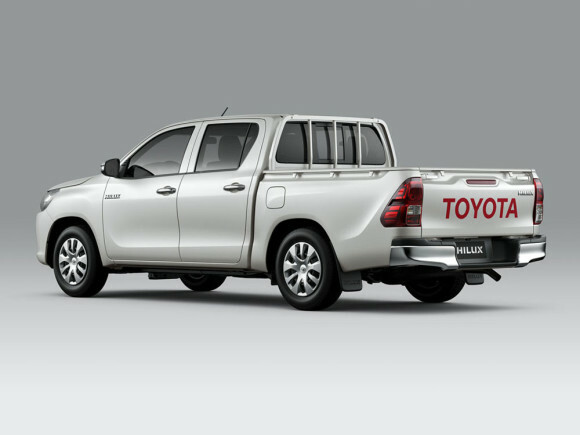 Toyota’s making a big bet that with the lower price of diesel, companies will shift to the black stuff over petrol. 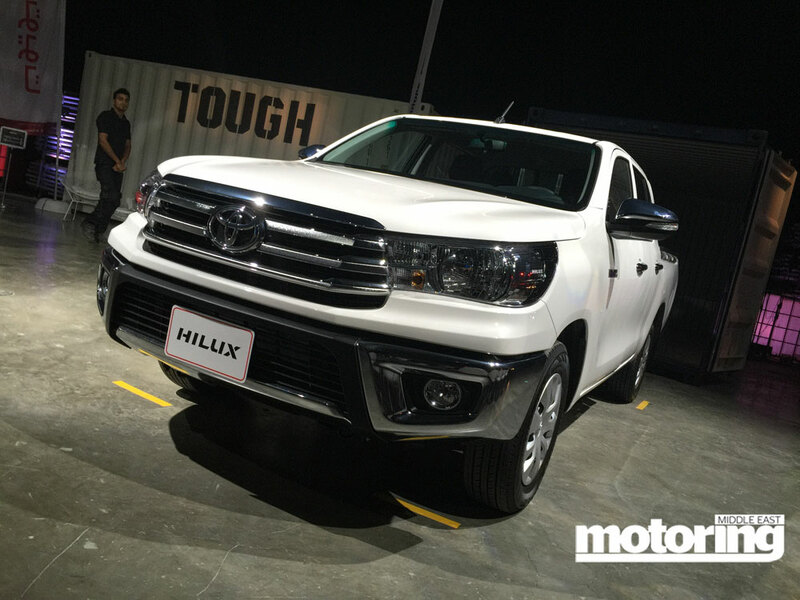 Hence the new Hilux gets an all-new 2.4-litre common rail, variable geometry turbodiesel with 150bhp/300 lb ft; it’s mated to a six-speed manual transmission that can do rev-matching. Rev-matching. In a Hilux. Sadly, we’re not likely to get the 2.8-litre version of this new GD-series mill – that engine makes an even more meaty 330lb ft of torque and 177bhp, both better than the old 3.0-litre turbodiesel. The exterior’s quite smart for a pickup, while the interior’s positively car-like. 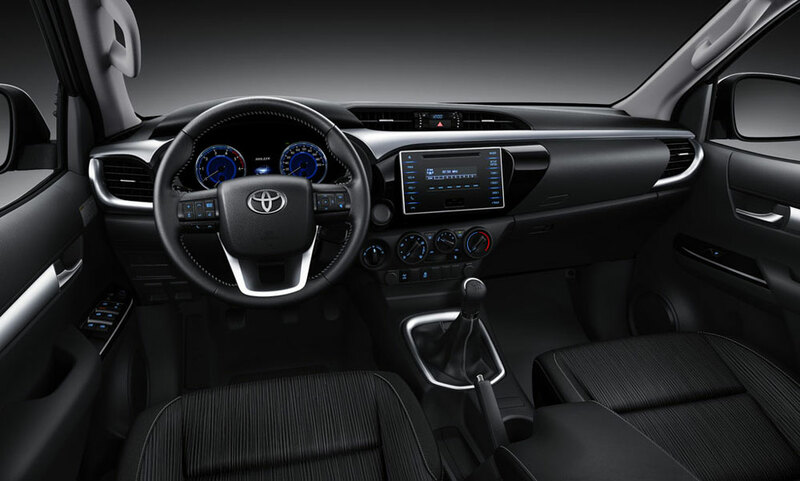 Gone are the bluff expanses of plastic; in their place is a Corolla-influenced cabin with a silver spar that extends the length of the dash. Graphics are big and easy, the HVAC system is simple rotary knobs (top models get climate control). Audio systems range from a basic 4-speaker unit to a 6-speaker version with Bluetooth, reversing camera and steering wheel controls. also known as the ‘foreman’s special.’ That one also comes with a cool/hot box, for keeping those Pepsis nice and chill on the worksite. Prices start for AED68,500 for the 4×2 version. Is the Hilux the pickup of your dreams? Tell us in the comments below!